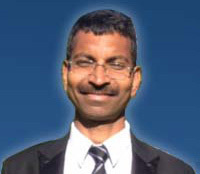 Prashant Pise joined the Indian Foreign Service in 1995. He holds a bachelor’s degree in Electronics Engineering. His first overseas assignment was in Cairo where he learnt Arabic and served as Second Secretary dealing with Political, Press and Administration matters. After a three-year stint in Tripoli as First Secretary, he served in various capacities in the Ministry of External Affairs, including Eurasia and Central Asia Desks. While working as Deputy Secretary in the UNES Division, he dealt with multilateral economic and social issues. From 2006 to 2009, he served in the Indian Embassy in Tokyo dealing with political, consular and administration matters. In 2009, he took up charge as Deputy High Commissioner in the High Commission of India, Mauritius. He moved thereafter to London heading the Press and Information Wing of the Indian High Commission. He has taken over as Ambassador of India to Tunisia on 6th January, 2016. He is married and has one daughter and one son. He speaks Arabic and French. His interests are in endurance sports, including ultra distance running and cycling.